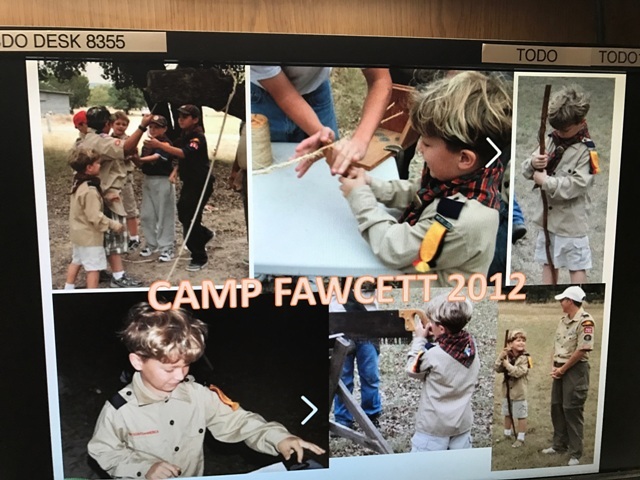 A regular Camp Fawcett attendee 15 year young Benji Rawald of Troop 280 of Del Rio has achieved a milestone and a rare feat that hasn’t occurred in this council in 94 years. Benji earned all 138 merit badges available to be achieved from BSA! 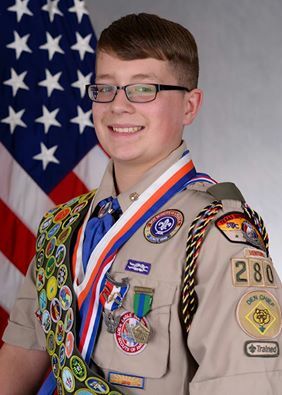 Benjamin received his Eagle Scout award in September 2014 when he was just 13 years old, and has since gone on to receive five Eagle Palms in his pursuit of earning all of the available merit badges. He didn’t even slow down on earning merit badges when he worked on his 373 hour Eagle Project. The year-long Eagle project was a Documentary DVD produced to support the historical preservation of the Laughlin Heritage Museum on Main Street in Del Rio, Texas. Through his Boy Scout training, Rawald has learned how to rock climb, backpack, sail, run a small business, change the oil of a tractor, communicate in Morse code, perform first-aid, build an electrical circuit, write a one-act play, fly-fish and even weave a basket if absolutely necessary. He’s also learned household skills like plumbing, woodworking, and personal finance. It did not all happen at once, as Rawald has more than 130 nights of camping, has hiked 140 miles and completed 566 service hours since he started scouting in January 2013. Currently the Boy Scouts recognize that there are 136 merit badges. “The number of merit badges a Scout can earn varies”, Rawald explained, “because some have been added over time and some removed.” Rawald earned both the Cinematography (now Moviemaking) and Computers (Now Digital Technology) giving him the two additional merit badges. This goal has been a family effort since the beginning, as his mother has helped him by driving him to 7 summer camps, 2 winter camps and 6 merit badge universities and weekend after weekend of Boy Scout events all over the state and even the country. Over a four-year period, Rawald said on average, he spent around five or six hours a week working on badge requirements. The dedicated Boy Scout also said he did most of the big projects and certifications during the summer when he had more time. He also had the chance to improve his marksmanship with the archery, rifle and shotgun shooting merit badges. He had to try multiple times over several summers to hit 24 out of 50 clay pigeons to close the shotgun badge requirements. Rawald is an honor student as a Brackett High School Freshman. He is an involved member of the Laughlin Air Force Base Youth Center, the Future Farmers of America, the GT Mathematics program, Academic UIL and BHS Power lifting. Not surprisingly, this remarkable young man isn’t finished yet! Rawald is currently pursuing completion of the BSA Hornaday Award which consists of four in depth Conservation projects, only earned by 1,100 scouts in the last 80+ years.